Abraham’s life was an exercise in acting upon faith unseen. We read in the Catechism of the Catholic Church, “To obey… in faith is to submit freely to the word that has been heard, because its truth is guaranteed by God.… Abraham is the model of such obedience offered us by Sacred Scripture” (CCC, 144). Abraham’s faith was not simply intellectual. It was a response of his whole being and the bedrock of all his major decisions in life. God had not yet revealed his law to Abram, except for the Natural Law written on the human heart. Abram only knew that there was one God who desired him to do right, shun evil, and follow his calling. Jesus said to his adversaries, “If you were Abraham’s children, you would be doing the works of Abraham” (John 8:39). The works of Abraham were works of faithfulness—living in response to the promises of God not yet realized. Abram would only see the first sprouting of the full promises God had given to him in his day. God only showed him enough to give him a reason to believe and to keep moving forward into the unknown. God reminded Abram of what he had already done for him to give him reason to have faith in what he had not yet done, but would do. God reminded him, “I am the LORD who brought you from Ur of the Chaldeans to give you this land as a possession” (Genesis 15:7). Jesus said to his disciples, “Amen, I say to you, many prophets and righteous people longed to see what you see but did not see it, and to hear what you hear but did not hear it” (Matthew 13:17). In the Letter to the Hebrews, we read, “All these died in faith. They did not receive what had been promised but saw it and greeted it from afar and acknowledged themselves to be strangers and aliens on earth.… But now they desire a better homeland, a heavenly one” (Hebrews 11:13, 16). Though a distant descendent of Noah and Shem, Abram may well have been alone in his beliefs while living an otherwise comfortable life in Ur of the Chaledeans. Outside the sphere of influence in his household, there was probably no community of believers or place to worship the one true God. The popular sense of the divine had long since dissolved into competing allegiances to the many gods of popular piety. Judaism, Christianity, and Islam did not exist, and there weren’t any missionaries to call the people back to the true God. The Bible gives us no character development on Abram other than a genealogy before abruptly telling us that God spoke to him and called him (Genesis 12:1). And like Jesus’ first disciples, it tells us he left everything and went. The message was to “go.” Go where? The answer was simply, “to a land that I will show you,” along with a promise of becoming a great and blessed nation. Abram had encountered the one true God, and that was enough for him. He dropped everything at the age of seventy-five to wander with his wife and his many servants through the wilderness as nomads. 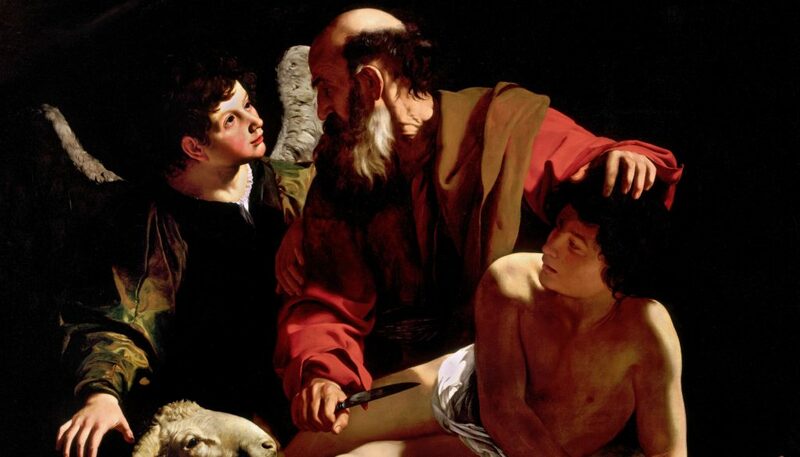 St. Paul writes of Abram in his Letter to the Romans, “He did not doubt God’s promise in unbelief; rather, he was empowered by faith and gave glory to God and was fully convinced that what he had promised he was also able to do. That is why “it was credited to him as righteousness” (Romans 4:20-22). The works of Abraham were works of faithfulness—living in response to the promises of God not yet realized. Abram did, in fact, waiver at times, and God had to nudge him back onto the right path. The Lord had said to the childless Abram, “Look up at the sky and count the stars, if you can. Just so, he added, will your descendants be” (Genesis 15:5). But Abram took his wife Sarai’s advice to try to force this promise to come about on his own terms. At his wife’s counsel, he fathered a child, Ishmael, through his concubine, Hagar. But this was not to be the primary fulfillment of God’s promise. Yet by the age of ninety-nine, begetting a son with his elderly wife Sarai seemed quite improbable for a man whose name (ironically at the time) meant “exalted father.” Yet God made a covenant with him and changed his name to Abraham, which means “father of a multitude” (Genesis 17:5). Announcing his new name to others must have caused a few eyebrows to rise. The sign of the covenant given by the Lord was to be circumcision for all the males of his household and among his servants, which must have triggered the same effect. The Lord then announced to Abraham how he would become a father of a multitude – namely through a son, Isaac. Isaac was to be born to Abraham’s ninety-year-old wife, who was now to be called Sarah. When Sarah overheard this, she laughed (Genesis 18:12). When the three angelic men appeared to her and confirmed this, only then did she know it was to truly happen. One day the Virgin Mary would respond perfectly in faith to the incredible announcement that she would bear a son through the power of the Holy Spirit. Despite what those around her might think or do, she responded in faith, “May it be done to me according to your word” (Luke 1:38). 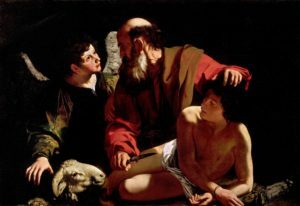 St. Paul writes that Abraham “believed, hoping against hope, that he would become ‘the father of many nations,’ according to what was said, ‘Thus shall your descendants be’” (Romans 4:18). Isaac was indeed born to Sarah. Years later, God tested Abraham, who was by then even more advanced in age. The Lord asked him to sacrifice “your son Isaac, your only one, whom you love” (Genesis 22:2). We read in the Letter to the Hebrews, “By faith Abraham, when put to the test, offered up Isaac, and he who had received the promises was ready to offer his only son, of whom it was said, ‘Through Isaac descendants shall bear your name.’ He reasoned that God was able to raise even from the dead, and he received Isaac back as a symbol” (Hebrews 11:17-19). The Lord spared Isaac’s life that day, but he would only hint of the ultimate sacrifice that “the LORD will provide” (Genesis 22:14). Only from the abode of the dead would Abraham see it. Jesus said, “Abraham your father rejoiced to see my day; he saw it and was glad” (John 8:56). God had promised Abraham land, nationhood, a multitude of nations, descendants as kings, and blessing for all the families of the earth through him. The only land Abraham owned in Canaan during his lifetime was a plot for his wife’s burial (Genesis 23:20). But centuries into the future, his descendants would possess much of the land of Canaan, the Promised Land. During his lifetime, Abraham’s people could only be called a tribe. One day, though, they would become a nation under Moses, with whom God would likewise enter into a covenant. God would further enter into a covenant with David and make that nation into a great kingdom. Abraham certainly did not see all the families of the earth blessed through him during his lifetime. But one day, all those worshipping the one true God would call themselves the descendants of Abraham. Ultimately, all these promises would come to their complete fulfillment in Christ’s new and everlasting covenant. Because of Abraham’s faith and his faithfulness, the Church prays in the liturgy, “Be pleased to look upon these offerings with a serene and kindly countenance, and to accept them, as once you were pleased to accept … the sacrifice of Abraham, our father in faith…” (Eucharistic Prayer I, ICEL). Abraham teaches us that faith demands a relationship with God in faithfulness. It requires going back to what God commands even after losing one’s way. It requires attentiveness to God’s calling despite not seeing its ultimate benefits, because, as we read in the Letter to the Hebrews, “faith is the realization of what is hoped for and evidence of things not seen” (Hebrews 11:1).